This teams are from Primeira Divisão (First Division), not Divisão Especial (Special Division), some teams from Divisão Especial plays the Primeira Divisão with junior teams to gain experience, the winner of this champioship can play the Divisão Especial next year. The only team from São Paulo in Superliga won't play Divisão Especial is São José dos Campos (female) because they finished PD in 4 or 5 place last year. The page from Divisão Especial 2014 is not done yet, but you can find the teams, formula and schedule from male championship in the link below, from female the schedule wasn't realesed, but the teams confirmed are Osasco, SESI-SP, E.C. Pinheiros, São Caetano E.C., São Bernardo, Uniara and Bauru. Edited once, last by hana ( Oct 8th 2014 ). Two players from Uniara suffered a pretty bad car accident, but luckly both are doing fine and dont have death risks. Rexona-Ades: Fofão, Bruna, Andréia, Amanda, Juciely, Mayhara, Fabi (L). What in the world happened? This is crazy! 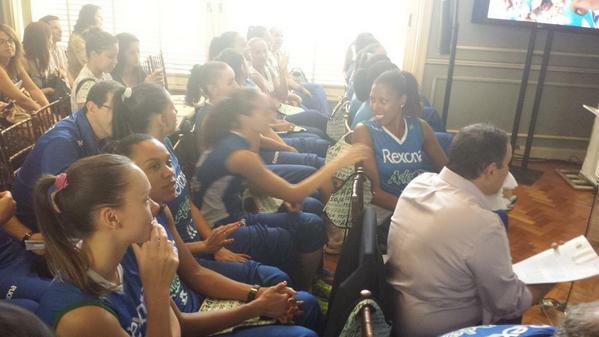 Surprise..surprise...Rexona-Ades won again the Carioca Championship, for the 11º time in a row. Both Pinheiros and São Caetano won the first semifinal matches against Molico and SESI (respectively) in Paulista Championship!!! It'd be awesome if both São Caetano and Pinheiros advanced to the finals. I doubt it'll happen, but I'll definitely be cheering for them. ETA. SÃO CAETANO DID IT!!!! Edited once, last by saishuu ( Oct 30th 2014 ). 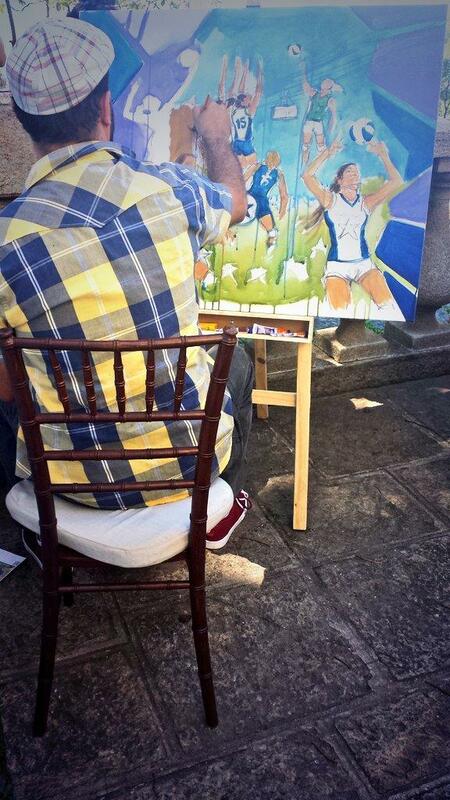 Yes, impressive...so São Caetano is the first finalist. 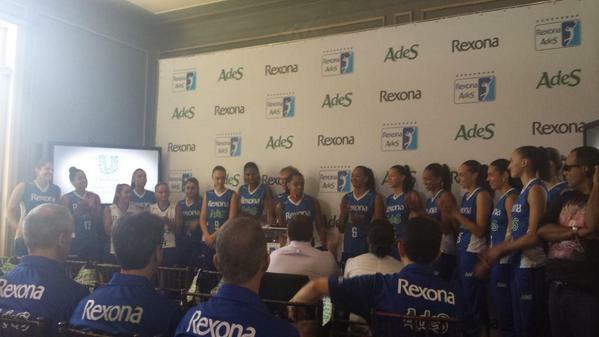 Rexona Ades had the team official presentation today. 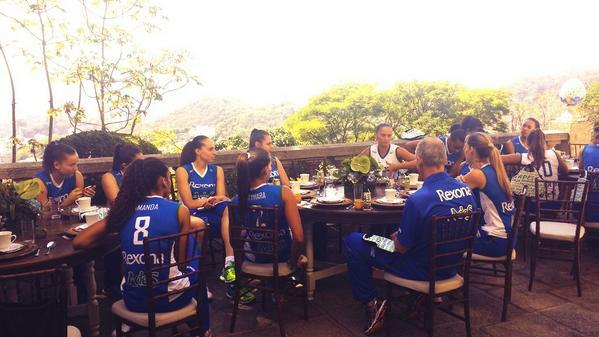 So today's semi Pinheiros - Osasco will be broadcasted on SporTV, right? But as CBV makes much sense todays game is from the 4º round! So Id recomend everyone to follow the cronological schedule in CBV site other than the round one. Edited once, last by joanamss ( Nov 7th 2014 ). Fine ! the Brazilian is going to start too ! OF course as a supporter Ill still suffer and cheer Rexona every match..hehehe but honestly technically speaking....I dont think we will have a good level here comparing to previous seasons.